From his earliest days, Abraham Lincoln devoured newspapers. As he started out in politics, he wrote editorials and letters to argue his case. He spoke to the public directly through the press. He even bought a German-language newspaper to appeal to that growing electorate in his state. When war broke out and the nation was tearing itself apart, Lincoln authorized the most widespread censorship in the nation's history, closing down newspapers that were 'disloyal' and even jailing or exiling editors who opposed enlistment or sympathized with secession. 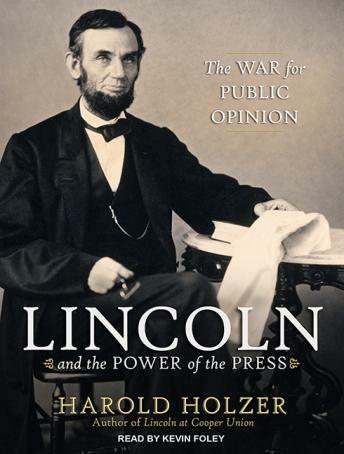 In Lincoln and the Power of the Press, Harold Holzer shows us an activist Lincoln through journalists who covered him from his start to the night of his assassination. In a wholly original way, Holzer shows us politicized newspaper editors battling for power and a masterly president who used the press to speak directly to the people and shape the nation.